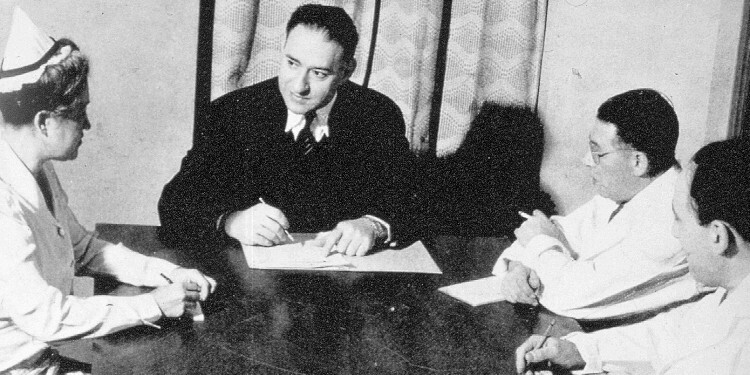 As the founding Executive Director of the fledgling Jewish General Hospital, Samuel S. Cohen (1900-2000) was instrumental in helping to transform a small, local healthcare institution—geared largely to serving the Jewish community—into a major university teaching hospital. Mr. Cohen was born in New York City where, as a young man, he rose to the position of of Assistant Director of the Beth Israel Hospital. In 1933, he accepted an offer to move to Montreal to assume the role of Superintendent (equivalent of Executive Director) of the as‑yet unopened Jewish General Hospital. Mr. Cohen had the extremely difficult but ultimately rewarding task of recruiting the JGH’s initial team of highly skilled medical staff, nursing personnel and other healthcare professionals. At the same time, he made certain that the hospital would rest on a firm, scientific foundation. 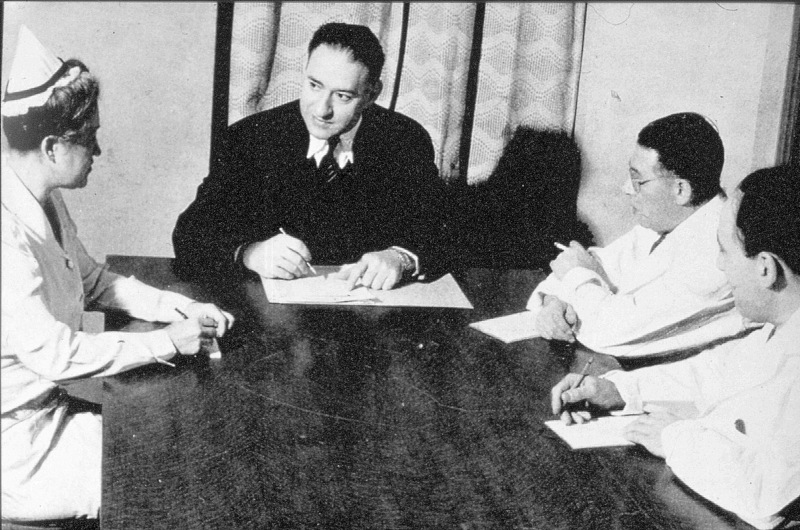 The hospital’s earliest years were especially difficult, since Mr. Cohen was guiding a brand new institution during the Depression and, shortly thereafter, World War II. This was followed by a period of explosive growth in the post-war years. All the while, Mr. Cohen insisted on developing and maintaining high standards in all areas, while actively promoting the hospital and embellishing its reputation. After his retirement in 1967 and for the rest of his life, Mr. Cohen maintained close ties with the JGH. In 1994, in recognition of his enormous contribution in helping to “give birth” to the hospital, he was chosen to receive first Distinguished Service Award, the JGH’s highest honour. The Jewish General Hospital’s 85th anniversary is an ideal occasion to take a glimpse into the past. 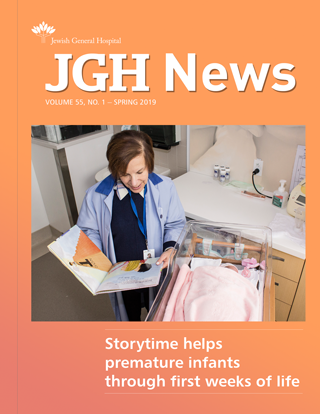 By remembering the extraordinary efforts of the hospital’s founders, supporters, staff and volunteers, we honour the enduring legacy that of the JGH.